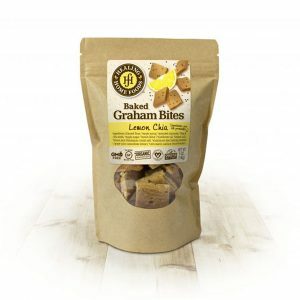 Our Baked Lemon Chia Graham Bites are simply delicious and packed with nutrients. Organic lemon peel is dried and ground in house for fresh lemon flavor. 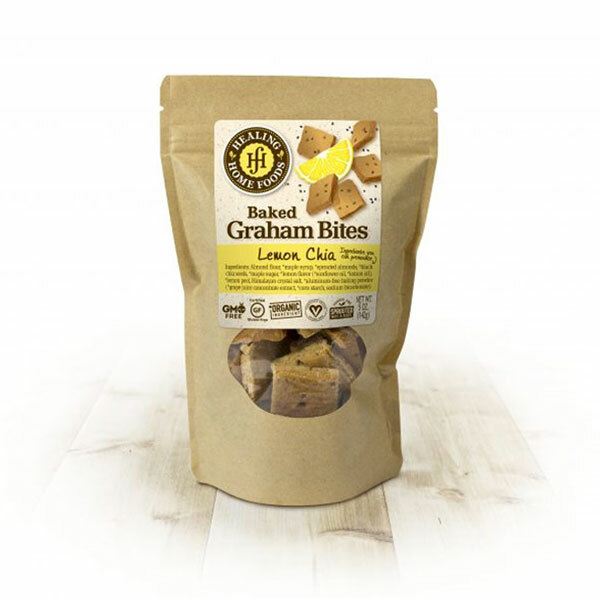 The addition of chia seeds adds protein and extra crunch to this yummy snack. 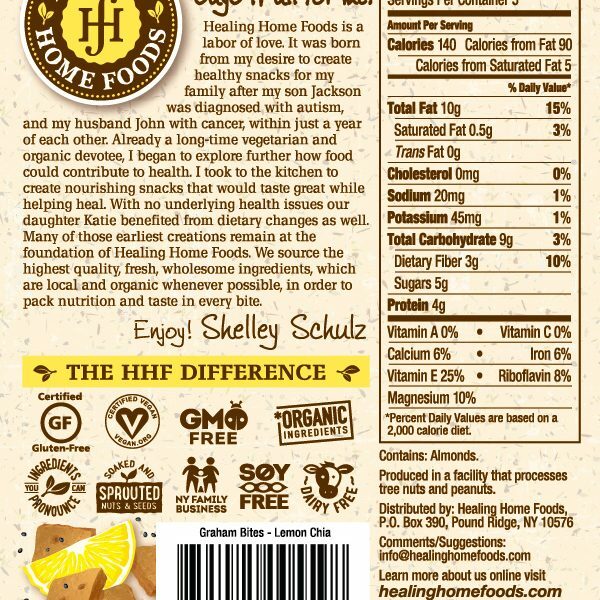 Almond flour, *maple syrup, *sprouted almonds,*black chia seeds, *maple sugar, *lemon flavor (*sunflower oil, *lemon oil), *lemon peel, Himalayan crystal salt, *aluminum-free baking powder (*grape juice concentrate extract, *corn starch, sodium bicarbonate). Fantastic! So yummy and they are good for you too!